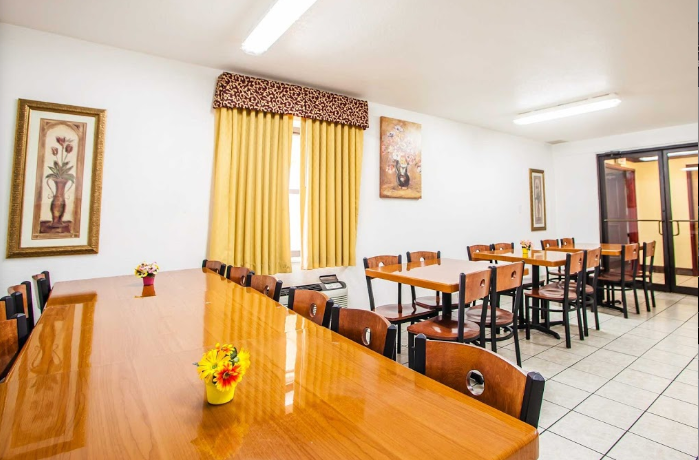 If you’re looking for an easy and affordable place for you next meeting or event, the Truman Inn Econo Lodge Sedalia meeting rooms offer some great options. They can help you host large and small events ranging from business meetings to social gatherings. Choose from the 625-square-foot Ballroom, 625-square-foot Katy room, the 1,025-square-foot Sedalia room and the 625-square-foot Show-Me room. If you need a room that has the capacity for a larger event, you can book the Truman Ballroom, which has 2,660 square feet of space. The meeting rooms offer free WiFi, so your guests can stay connected. A copy/fax machine is also available.